Southern Florida is in United States Department of Agriculture (USDA) Hardiness Zone 10. Minimum temperatures in this zone range from 30 degrees F to 40 degrees F. With a nearly year-round growing season, southern Florida can grow a wide range of traditional vegetables and a number of vegetables suited to tropical and sub-tropical climates. Taro is a white and purple root vegetable that grows very well in southern Florida. The leaves of some taro cultivars can be as large as 2 to 3 feet long and 1 to 2 feet wide. Taro roots can be as small as 4 oz. or, in rare cases, as large as 8 lbs. Taro plants under cultivation can be as small as a few feet tall or as tall as 8 feet. Taro grows best in moist or wet soil that is rich with organic material. Although taro does best in partial shade, it can grow well in full sun if watered enough. Do not grow taro in southern Florida near wetlands where it can escape and become invasive. Raw taro causes stomach pains; cook taro thoroughly before eating it. Rutabaga is a cool season vegetable best grown in the winter in southern Florida. Rutabagas are similar to turnips. 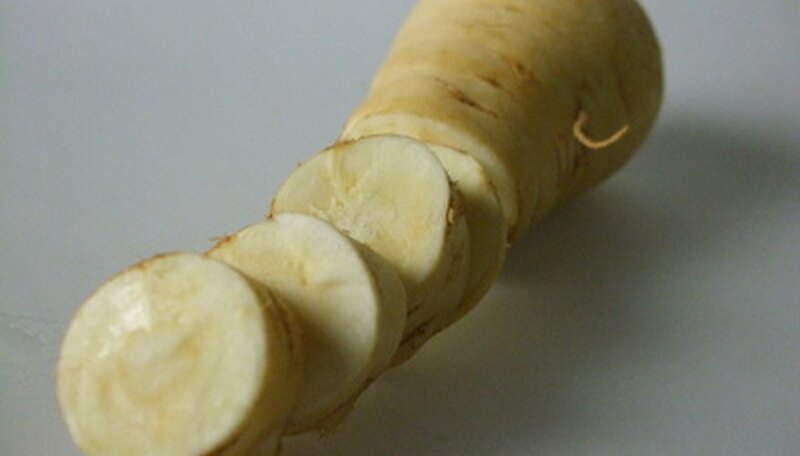 A rutabaga has a large yellowish-white edible root. The leaves of a rutabaga plant are bluish green and smooth, similar to a cabbage. Plant rutabagas in soil that drains very well. They need full sun to grow well. Use rutabagas in ways similar to turnips. Parsnips are a cousin of the carrot. In fact, in Chinese, carrots are called “red carrots” and parsnips are called “white carrots.” Like rutabagas, parsnips are cold season vegetables and best grown in the winter in southern Florida. Although they do best in full sun, parsnips grow well in partial shade. When preparing your garden, loosen the soil down to at least 8 inches. Parsnips grow deeper than carrots. Do not plant parsnips next to carrots to avoid excessive resource competition. Do not use manure on the soil the year you plant your parsnips. If you are planning to plant parsnips, add manure the previous year. Adding manure in the bed the year you plant parsnips can result in forking on the parsnip roots. Tomatoes grow very well in southern Florida. A number of varieties do very well, including Floradel, Tropic, Manalucie, and Better Boy. Grow your tomatoes in full sun and plant them in soil that drains very well. Fertilize with compost or a gentle organic fertilizer at planting. Water whenever the top ¼ inch of soil dries out. Put a couple of inches of mulch over the roots of your plants to minimize evaporation.